For your consideration is this 1898 Waltham 6 size pocket watch for repair or parts. It will run face down but stops in other positions. The dial has a faint hairline. 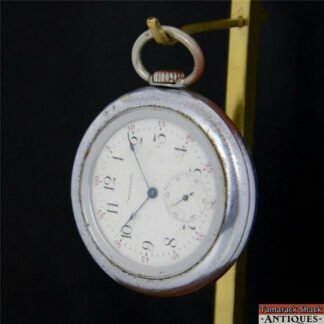 The case is Illinois Watch Case Co. “Spartan” The case measures 45mm in diameter, not including the pendant. Condition: For repair or parts.